You can’t run a sustainable business on impulse buyers. That might seem obvious, but many businesses don’t apply that knowledge on their websites. They neglect all the people who are interested, but not interested enough to buy from them yet. How are you taking care of these people? Do you have a way to build relationships with them until they’re ready to make a buying decision? Effective email marketing is a great way to do this. And effective email marketing begins with offering an irresistible lead magnet. A “lead magnet” is something you offer to your website visitors. It doesn’t cost people any money to get; they “buy” it by signing up to your email list instead. A lot of businesses struggle with email marketing because they can’t figure out the first step: how to get people to sign up to their list. That’s where the lead magnet comes in. A lot of businesses don’t use them at all. 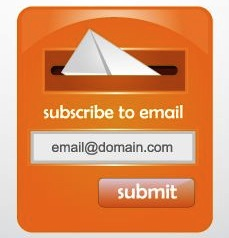 This keeps people who might become customers later on from signing up to email lists. Other businesses use lead magnets, but they don’t convert many subscribers. The material, how it’s presented, or a combination of both doesn’t give prospects a strong enough incentive to provide their email information. These types of opt-in forms are everywhere, and they do a terrible job of convincing people to sign up to email lists. Making this offer to someone who doesn’t “know” you online asks them to hand over something that’sdefinitely valuable (their email address) for something that might or might not be valuable (your emails). Most people won’t take that deal. That’s why you need to create something that’s definitely valuable and give it away to sweeten the deal. Lead magnets push people who are on the fence to sign up because they feel they’re getting a fair trade. Other businesses use lead magnets that are weak draws for their intended audience. They offer something their prospects don’t care about, or they present the material in a way no one will use or appreciate. A common misconception is that longer content makes a lead magnet more valuable to your prospective customers. That’s usually not true. Creating a 100-page eBook or a 20-part video series takes an impressive amount of effort on your part, but it’s usually far less valuable to your prospects than you might think. Extensive content takes a lot of work to sift through; your prospective customers don’t have the time or inclination to do that. They might opt-in to your email list, but they’ll set your lead magnet aside once they see how long it is. Another common mistake is creating a lead magnet you think your prospects will like without doing any research beforehand. This makes for a lot of wasted effort if you spend the time to create a lead magnet and get it ready to distribute, only to have it not convert like you expect. It’s time to create a lead magnet if you aren’t using one already. Even if you are, it might be time to revamp it to convert more email subscribers. Creating something that converts comes down to offering something your visitors want and making it as valuable as you can. How can you find an appealing topic for your lead magnet? Start by reviewing content you’ve created to see what struck a chord. Is there a certain piece or topic that got a disproportionate amount of comments or social shares? Creating a lead magnet from that angle is a great way to maximize your chances of coming up with something compelling. Another way is to leverage what people are already telling you. What are the most common questions you get from your website readers? Pick out the trends, and package up one of your answers to those questions into a lead magnet. Finally, you can browse Q&A sites or popular forums where your target customers hang out and check out common questions and the hottest topics. Your lead magnet doesn’t need to cover a lot to convert well. You just need to pick one concrete problem in your niche and solve it. Jon Morrow’s blog focuses on helping other bloggers build their traffic. But he picked one problem within that broad topic – writing great headlines for blog posts – and crafted his lead magnet as the solution. What a great lead magnet can help you gain – a list of engaged email subscribers – is a key asset of a successful online business. That’s why you need to treat it as seriously as you would a paid product or service. The best lead magnets are so valuable their creators could’ve charged for them. Remember, you don’t have to make a lead magnet long to make it valuable. There are plenty of things you can do that don’t involve writing a 100-page PDF or recording yourself talking for 12 hours straight. People love lists of tools and resources. Pat Flynn did a podcast recently with Clay Collins from LeadPages. They discussed lead magnets, and Collins mentioned his highest converting one was a 5-item list of tools about how he makes videos. That report gets more opt-ins than a free coaching session! The right lead magnet will build your email list and establish your authority as an expert in your niche. Pick something your prospects find valuable, present it in the right way, and watch your conversions skyrocket. What’s your lead magnet strategy and why? Leave a comment below and let us know!